Created by students to document their first days at the IE International MBA – stay tuned for more videos to come! IE Business School 11/11 intake intro video: The trailer from IE Business School 11/11 intake on Vimeo. Enjoy some of the most recent impressions about IE, the facilities and its people! IE Masters in Finance || CAIA and CFA exams accepted! 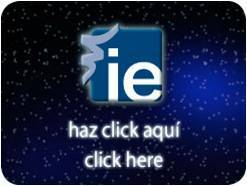 IE wishes a happy new 2011! We appreciate very much your loyalty reading this blog and hopefully we can welcome you as well in 2011 – and some of your friends! Use this blog as your starting point for an exciting journey through IE, as student, as alumni or just as curious person seeking broaden your knowledge. IE Admissions Tips: No deadline means NO deadline? 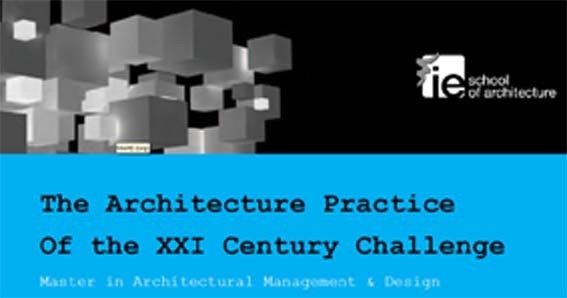 As the previous post on the exciting launch of the Master in Architectural Management & Design caught your attention, here comes the good news of the Architectural Challenge Scholarship Competition. Details you will find using the link of the image and HURRY UP – the deadline is on January 1, 2011! At IE Business School, we take a holistic approach to evaluating each candidate. We look at every aspect of your application; as such no single element is of unique importance within evaluation, but rather a compilation of all the elements submitted. Between those submitted elements are the letters of recommendation, fundamental in “adding score points in the path to admission” as Julian Trigo, Director of Admissions at IE Business School. He also addressed that ”finding the right recommenders is crucial” to get to know the strenghts and weaknesses of a candidate applying to the International MBA program.